Michael Richardson, “China Flexes Maritime Muscle to ‘Win war Without Fighting’,” Canberra Times, 29 June 2011. More ships – including aircraft carriers – are entering the Chinese fleet. As China prepares to start sea trials of its first aircraft carrier, possibly as early as this Friday to coincide with the 90th anniversary of the ruling Communist Party, foreign analysts will be watching to see how quickly the Chinese Navy can bring its power projection ship into service. It may not be smooth sailing. The handful of countries with carriers have spent years learning how to operate them. The fighter-bomber chosen for the carrier by the Chinese military is the J-15, which has an airframe closely resembling the Russian Sukhoi Su-33. Although the J-15 is known as the “Flying Shark”, the fleet on the carrier is “no great leap forward”, according to two US analysts, Gabe Collins and Andrew Erickson. For more on Varyag’s going to sea and near-term Chinese deck aviation developments, see Abraham M. Denmark, Andrew S. Erickson, and Gabriel Collins, “Should We Be Afraid of China’s New Aircraft Carrier? Not yet.,” Foreign Policy, 27 June 2011. 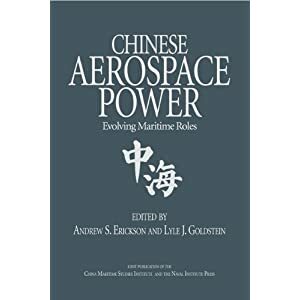 For details on China’s first carrier aircraft, see Gabe Collins and Andrew Erickson, “Flying Shark” Gaining Altitude: How might new J-15 strike fighter improve China’s maritime air warfare ability?,” China SignPost™ (洞察中国), No. 38 (7 June 2011). 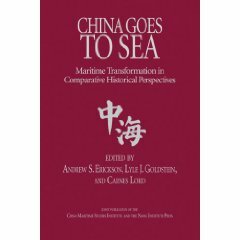 For more on Chinese deck aviation programs and what motivates them, see Gabe Collins and Andrew Erickson, “The ‘Flying Shark’ Prepares to Roam the Seas: Strategic pros and cons of China’s aircraft carrier program,” China SignPost™ (洞察中国), No. 35 (18 May 2011). 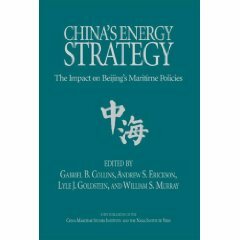 For relevant Chinese defense industrial capabilities, see Gabe Collins and Andrew Erickson, “LNG Carriers to Aircraft Carriers? 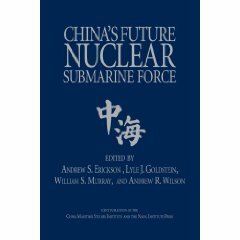 Assessing the potential for crossover between civilian and military shipbuilding in China,” China SignPost™ (洞察中国), No. 12 (18 December 2010).